Driving for Freedom is a documentary film designed to explore the personal and national benefits of petroleum conservation and alternatives. While there are many facets to this one problem, the viewpoint in this film is focused towards something we can all agree on—our freedom. 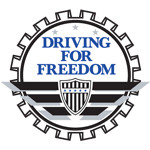 “Driving For Freedom” aims to bring people together so that we may collectively move forward. Though a complicated subject, “Driving For Freedom” is designed for modern entertainment audiences with full regard for current cultural demands. This is a high-energy and fast paced project for a high-energy and fast paced world. The United States currently depends on foreign countries for OVER HALF our oil supply. Any interruption—even as little as 5%—would cause serious social and economic problems. (1) Without immediate attention, our industrial mobilization and personal freedom could be crippled; school buses, tractor-trailers, snowplows, farm machinery—and especially our cars—could be rendered less operable if our oil supply was weakened. Unarguably, America’s oil supply depends on maintaining relationships with countries we consider unstable—Venezuela, Iran, Iraq, and Russia are a few of our largest suppliers. As such, The United States’s dependence on foreign oil clearly affects our National Security, sovereignty and economy. “Driving For Freedom” is not designed to dictate a certain agenda, however. The purpose of this resource is to explicitly define the facts on petroleum consumption and alternatives, allowing consumers to make their own decisions.